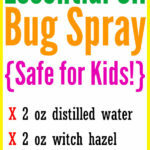 Want to repel bugs? 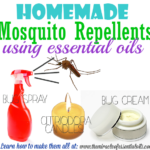 Look no further than these coconut oil mosquito repellent recipes, including a bug oil, bug balm and bug spray using coconut oil as a base! Coconut oil seems to be a panacea for so many health issues and ailments thanks to its antibacterial, antimicrobial, metabolism boosting, anti-inflammatory properties, among others. It’s also touted to be weight loss helper, hormone balancer and skin protector. But is using coconut oil as an insect repellent taking things too far? Not! 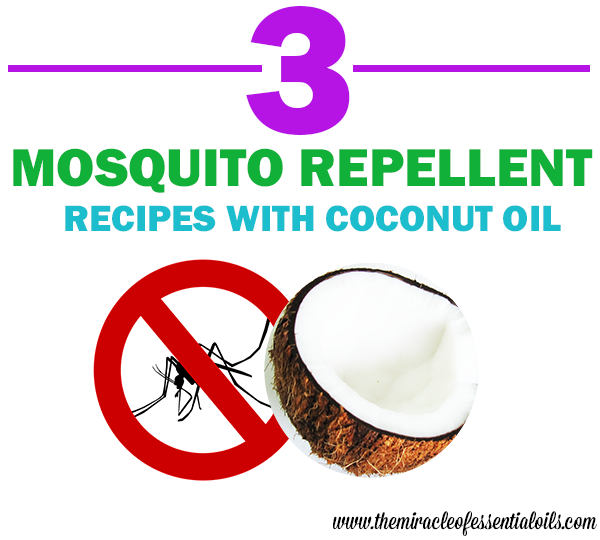 There’s scientific evidence to back up coconut oil’s mosquito repelling properties. Studies carried out by the London School of Hygiene and Tropical Medicine, UK and the Ifakara Health Institute, Tanzania (as published in the Malaria Journal in 2011) conducted a review on the efficacy, development and testing of plant-based insect repellents. 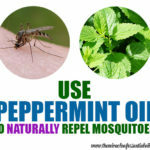 They created and tested a preparation containing essential oils and carrier oils such as coconut oil, and found it provide similar protection from bugs as DEET based repellents. 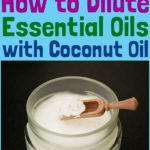 The preparation containing coconut oil offered up to 7 hours of protection from mosquitoes! 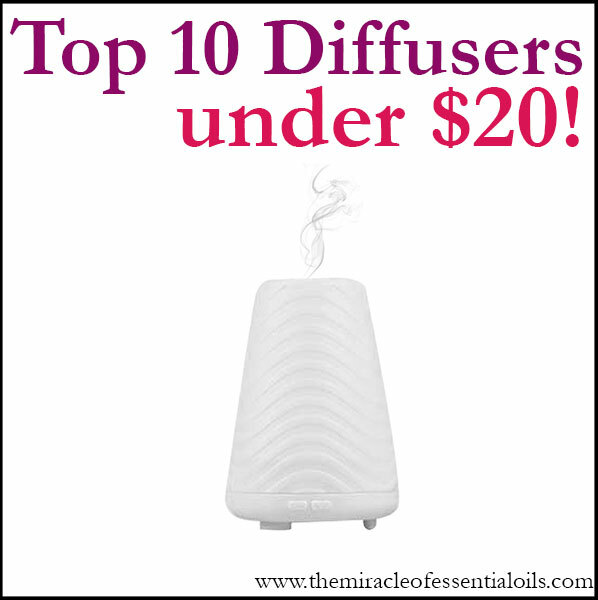 While there are many potent essential oils that help repel bugs, they offer their protection for only short durations due to the volatile nature of essential oils. However, when combined with coconut oil, their efficacy rates improved drastically thanks to the stabilizing effect provided by coconut oil. This is the easiest recipe ever! You can even make it when you are pressed for time, it doesn’t take long to whip up! In a double boiler, melt the coconut oil until fully liquefied. Now take off heat and once cooled down, add the citriodora (lemon eucalyptus) oil. Mix thoroughly and pour into a jar for easy access. In this beautiful bug balm, coconut oil joins forces with shea butter to help repel bugs, as well as soothe and heal bug bites. Melt the beeswax pastilles, shea butter and the coconut oil in a double boiler, if you have one. Otherwise, make your own make-shift double boiler system by placing a large pot filled with water over medium heat. Place a glass bowl over the water and melt the items in the glass boil. It’s the same process used to melt chocolate when baking. Once the oil, butter and wax are melted, place it in your clean container/jar and add the essential oils one by one. Stir in the essential oils thoroughly using a disposable spoon/glass rod/popsicle stick and pour the mixture into an amber jar. Now place your container in the refrigerator to set overnight or for at least 2 hours before use. 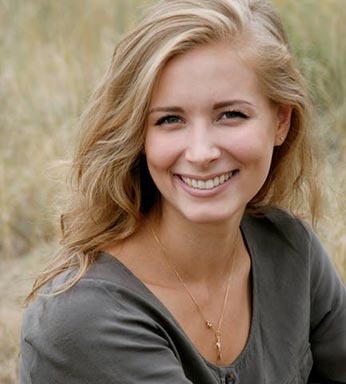 You can use your bug balm all over your exposed skin areas and feel free to apply as needed. 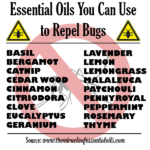 Note: Feel free to add any other bug-repelling essential oils that you have in stock. However, do not use citrus oils, like lemon and bergamot, in topical application creams if you will be stepping out in the sun. 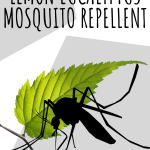 Citrus oils, though very effective at repelling mosquitoes, are phototoxic and may burn your skin. Get a large spray bottle and fill it with all the above ingredients, place the cap on firmly and shake vigorously to mix it all up. Now spray your surroundings as needed with your very own bug spray to fend off gnats, moths, flies and of course, pesky mosquitoes! Spray away from your eyes, mouth and mucous membranes. Note: Don’t use a fine mist nozzle for this recipe because the oils will tend to clog up and get stuck. In summer, when the bugs are wrought, you don’t have to worry about coconut oil solidifying. In winter, if you find your coconut oil solidifying, just run it under a hot water tap to melt it immediately.